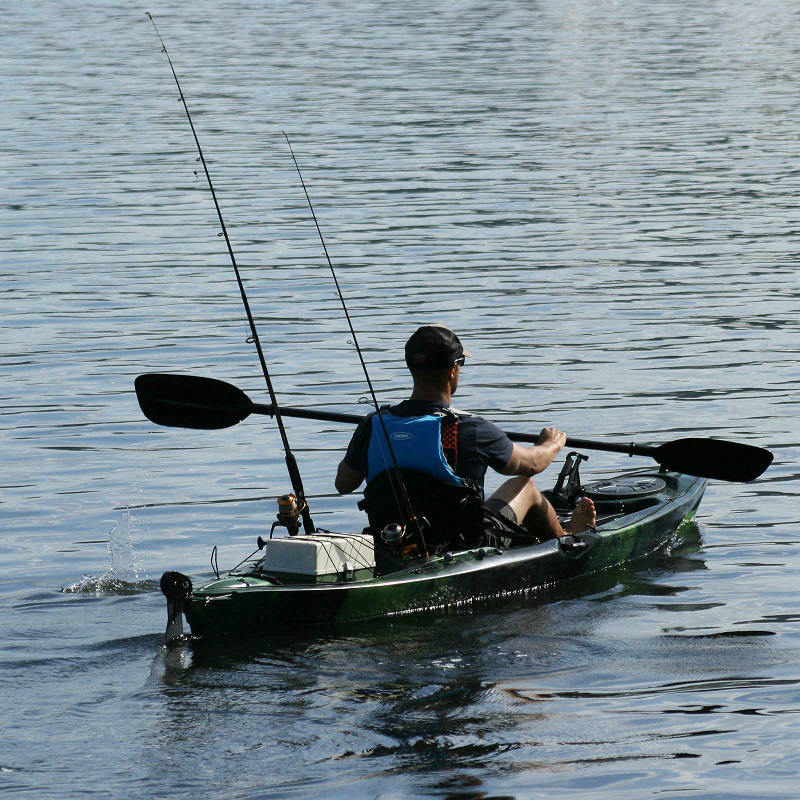 This is our best selling fishing kayak, built for the keen all day fisherman for speed and comfort. 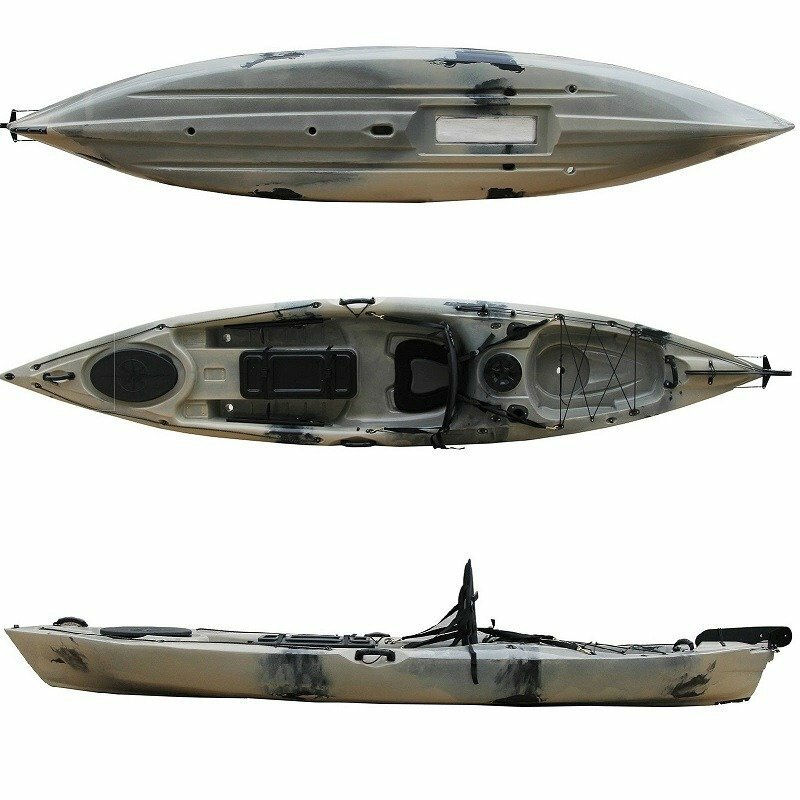 Words can not describe how this kayak performs in the water, but we are happy to confirm that this is the kayak that gets most reviews from customers about how well it performs. 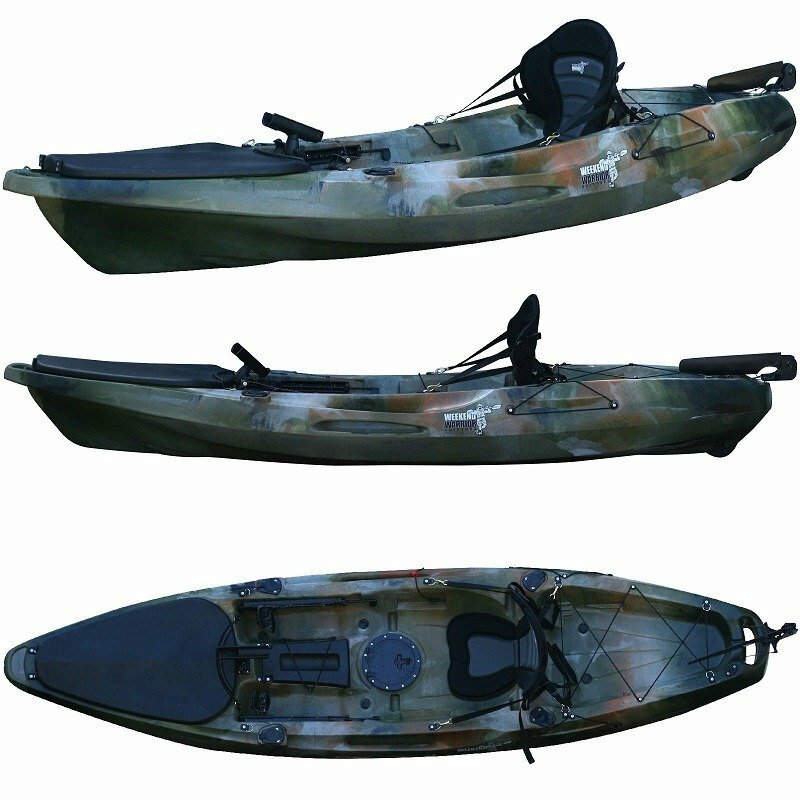 The beauty of this kayak is that for a sit on top design it is super-fast, it paddles nearly as fast as a sea kayak which is rare for this type of kayak. It is a fast paddler due to the sleek design and the length makes it glide through the water. 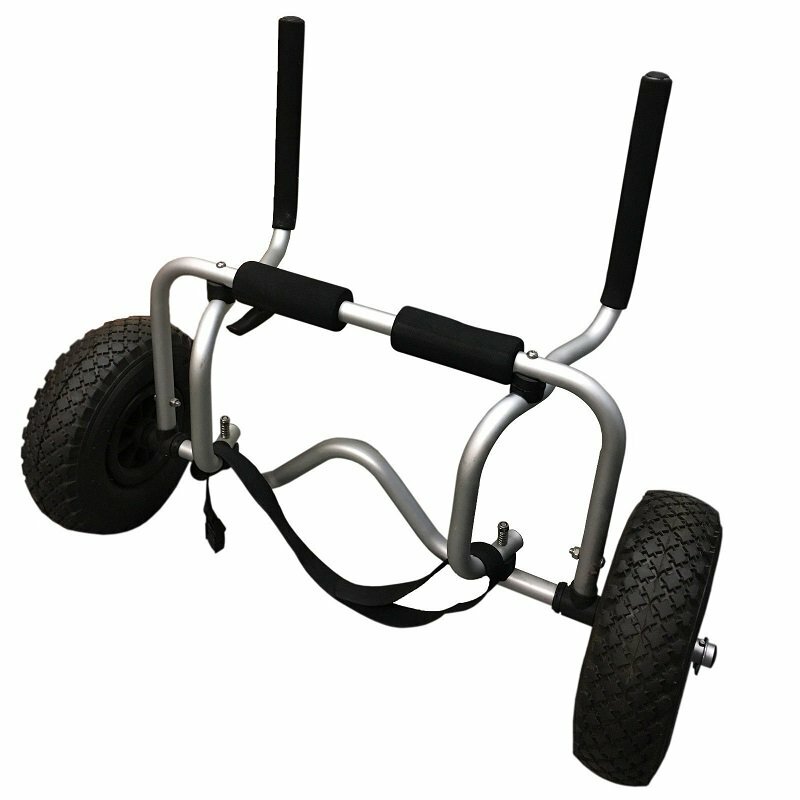 Features includes the trawling rod holders, the rotating fishing rod holder in the mid-section, the built in foot controlled rudder system that allows steering which is vital for serious fishing to follow the prey. 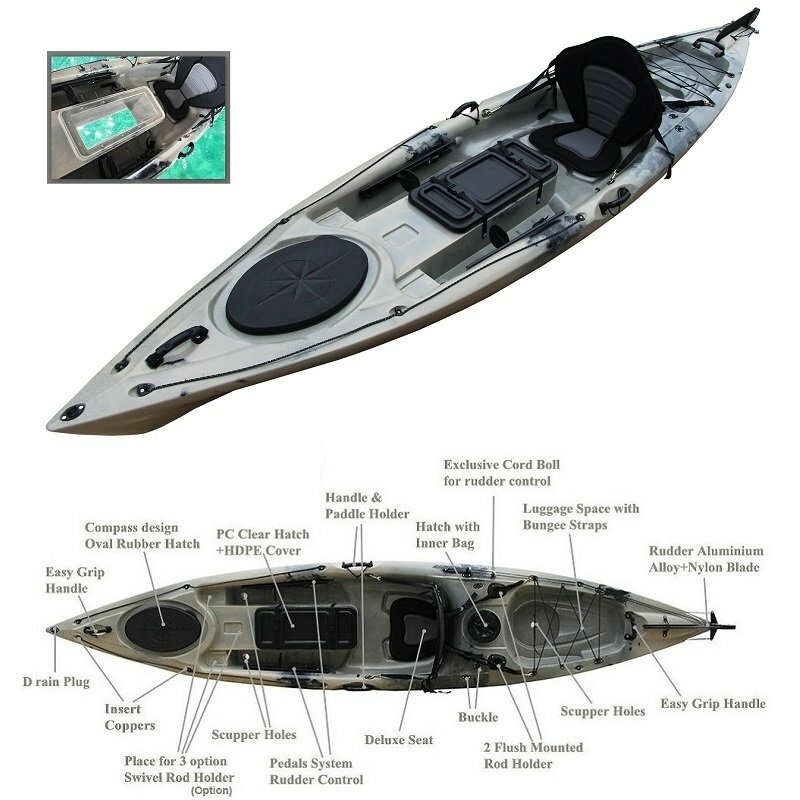 This rudder system is controlled by your feet and this vital in any fishing kayak that you will be taking out for longer periods. You can steer the kayak in windy conditions and also strong currents, which is very hard in a kayak that does not have a rudder. 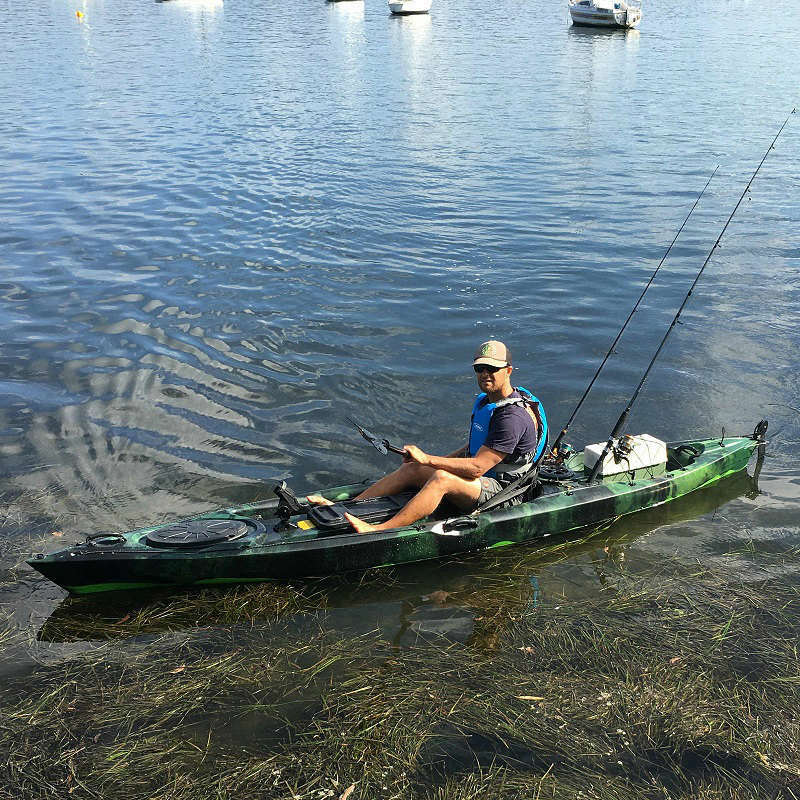 Why not go spear fishing in the ocean on this leisure kayak! A lot of customers buy this beauty just for that. Because it has a low profile it becomes very stable which makes it easy to board your kayak from the water. We could talk to you for hours about this one but welcome you to call us with specific questions. 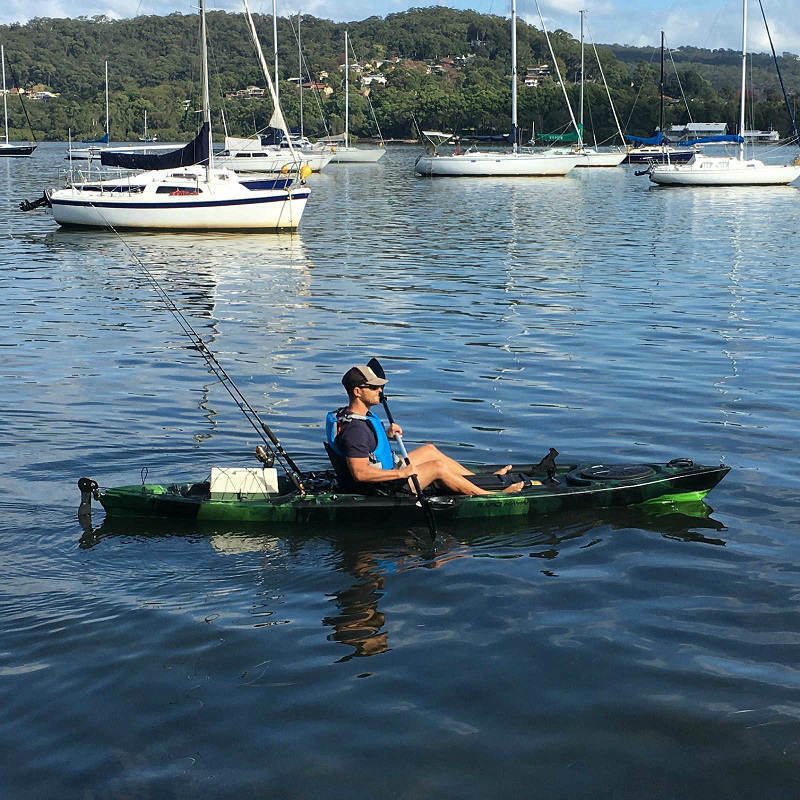 Deluxe Padded Kayak Seat as pictured – This is so important for lower back support, they have a high back and loads of padding.